As a reasonably intelligent person (yes, I know that’s debatable), I am convinced that Target deploys some kind of brainwave scrambler in and around their stores. 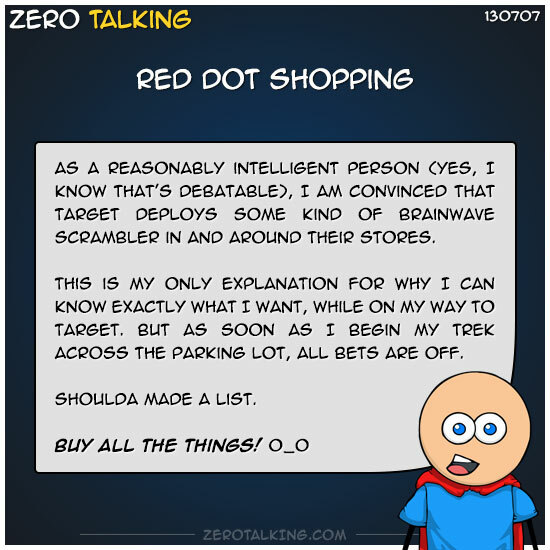 This is my only explanation for why I can know exactly what I want, while on my way to Target. But as soon as I begin my trek across the parking lot, all bets are off.